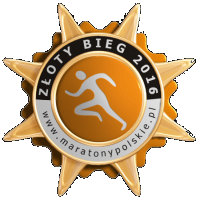 October 27, 2019 Sunday 2 a.m. . Start and finish at the KS ‘Bałtyk’, Stawisińskiego Str., Koszalin. All participants of the run must be 18 years of age or older. At the registration, you will be required to declare in writing that you take part in the event at your own responsibility. In order to apply you must fill out the application form available at: www.NOCNASCIEMA.com/zapisy, apply by e-mail sfx@onet.pl or calling the run director Michal SFX Bieliński at : +48 696 137 257. You can also participate in our run exactly at race office opened on 26 Oct. from 4 pm to 1 am. (this is independent of the prize package). 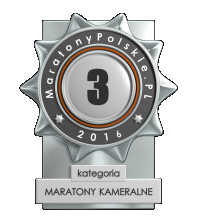 Distance: 42.195km (6 loops) or 21.097km (3 loops). The route leads through the main streets of Koszalin and is well lit by streetlights. Electronic, with the use of electronic chips. Time will be shown on the LED screen at the stadium, where the loop of the route goes. This will allow the contestants to control time around every 7 kilometers. The organizer guarantees that the time result accomplished by the runners between the starting and the finish line will be one hour shorter than the actual running time. The difference has to do with time changing from daylight- saving time to winter time from 3 a.m. to 2 a.m. In official results as well as on diplomas the time of start and the time of crossing the finish line will be included. Crossing the finish line must take place at latest at 7:00 a.m., which gives runners 6 hours to finish the race (between 2 a.m. and 7 a.m. including the time switching from daylight-saving time to winter time). The contestants, who for some reasons are expected not to be able to finish the race in the given time limit will be allowed to start the race before the rest (after the agreement with the organizer and the run director). General classification of men and women. Age classification of men (M) and women (K). The organizer reserves the right to set up additional classifications. Each team is required to choose his captain - a member of the team. Team Captain will make application in race office (by giving names and race numbers its representatives) and will be responsible for contact with the organizer of the race. For the team classification must be notified at least four people running the same distance. One participant may only be assigned to one team. The order in the team classification is determined by the sum of the four best times achieved among the participants belonging to the same team. To classify a team must finish the race by at least four of its representatives. Please include: "NS2019, distance, player name, year of birth". The amount of the fee depends on the date of its impact on account of the organizer. For participation in the team classification are not charged additional fees. You can also settle the fee directly at the official run office on 26-27th October 2019. Participation fee once paid is non-refundable and cannot be moved towards another runner. 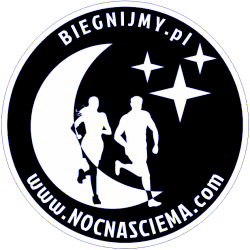 All participants, who complete the race ‘Nocna Sciema 2019’ will receive a medal. Winners in general men and women classification (I-III position) will be granted cash prizes. 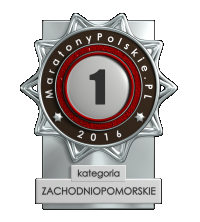 The winners in age classification (1st-3rd positions) will receive unique trophy. Special trophies for people with disabilities present at the ending ceremony. Additional prizes for many lucky people present at the ending ceremony. The general and the age classifications are overlapping. 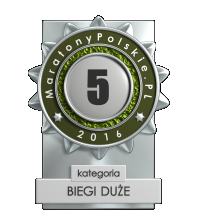 The organizer reserves the right to sponsor additional prizes in classifications and categories chosen by them. The receipt of each of the above awards (apart from medals) is ONLY possible personally during the official event closing - according to the published program. For those, who require free accommodation the organizer provides a 1 night-stay (Saturday to Sunday) in Politechnika Koszalinska sports hall (Raclawicka Str.). Please note that the organizer does not provide mattresses nor sleeping bags. Alcohol and drugs are not permitted in the buildings mentioned. Those, who will not comply with this rule will be expelled from the building. All participants of the run will be able to use ‘nutrition points’ at the run route (every 5 min. providing water, sports drinks and bananas). The organizer also provides medical care and the possibility to use shower. - The present rules could be subjected to insignificant alternations.